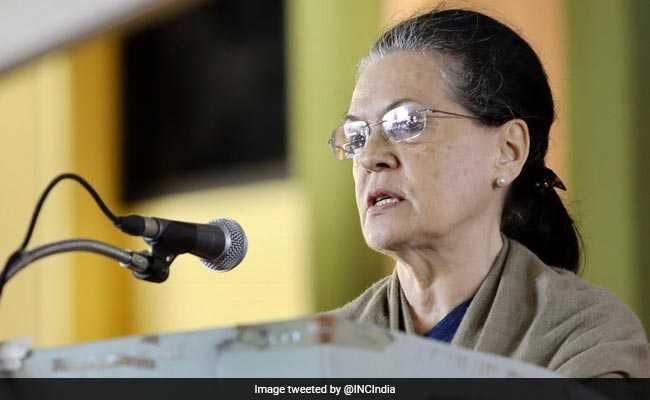 Dinesh Pratap Singh, who was elected to the state legislative council for the second time in 2016 and left the Congress last year, is pitted against UPA chairperson Sonia Gandhi on a seat held by her since 2004. The BJP on Wednesday fielded local strongman Dinesh Pratap Singh against Sonia Gandhi in Rae Bareli and also named candidates who will taken on Samajwadi Party leaders Mulayam Singh Yadav and Akhilesh Singh Yadav. Chandra Sen Jadun is the BJP candidate from Firozabad, from where the SP patriarch's brother Shivpal Singh Yadav, who broke away from the parent party to set up the Pragatisheel Samajwadi Party-Lohia, is contesting. SP leader Ram Gopal Yadav's son Akshay Yadav is also contesting from Firozabad. The BJP has named V P Saroj as its candidate from Machhlishahr (SC), replacing sitting lawmaker Ram Charitra Nishad. Two-time Congress lawmaker from Tiloi assembly constituency, which comes under the Amethi parliamentary seat, joined the BJP on Wednesday. Former Bahujan Samaj Party leader from Kaushambi, Suresh Pasi, also joined the party in the presence of UP BJP chief Mahendra Nath Pandey, a statement said.